Photography One, teach the basic fundamentals of digital photography. Students will acquire the skills needed to create strongcompositional photographs using photographic principles as well as gain a basic understanding of post-production editing through Photoshop. 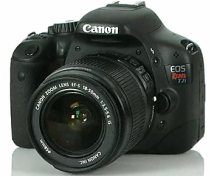 PCS has provided the photos classes with Canon T2i DSLR which students can check out to support their educational experience. Once you have completed Photography One you can take Photography Two. Each week students will take 100+ photographs, with an emphasis on the topic being studied that week. All assignments will be turned in electronically through Mrs. Harris' dropbox. STUDENTS ARE RESPONSIBLE TO BACK UP ALL IMAGES - A GRADE CANNOT BE GIVEN IF WORK IS NOT AVAILABLE. PCS HAS PROVIDED EACH STUDENT WITH SERVER SPACE TO SAVE THEIR WORK. -This class is a lot of work, you are excepted to shoot images throughout the semester. Just because you complete an assignment doesn't mean that you will receive full credit, its not about just doing it, it's about doing it well. These are assignments we will do before we hand out the classroom cameras. PROCAM is a Photo & Video superstore with studio space for classes, demos, seminars and rentals, look at schedule to see up and coming events. Great opportunity to get your images in PHS's YEARBOOK - Create an account at ReplayIt - by Jostens - Check out the school paper PHS Connect it's another opportunity to get your images published. ​Exif Viewer is a tool that shows the Exif, meta, file information of your pictures, ebooks, documents, archive, images, audio, and other formats.